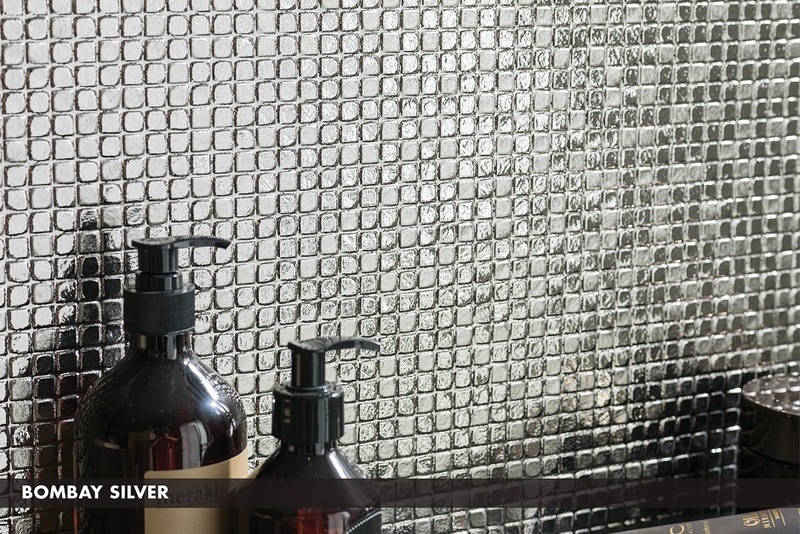 What metallic tiles add to your home design are creative, strong pattern styles. These decorative tiles from Porcelanosa shadow simple tile textures to deliver a more futuristic and luxurious appearance. 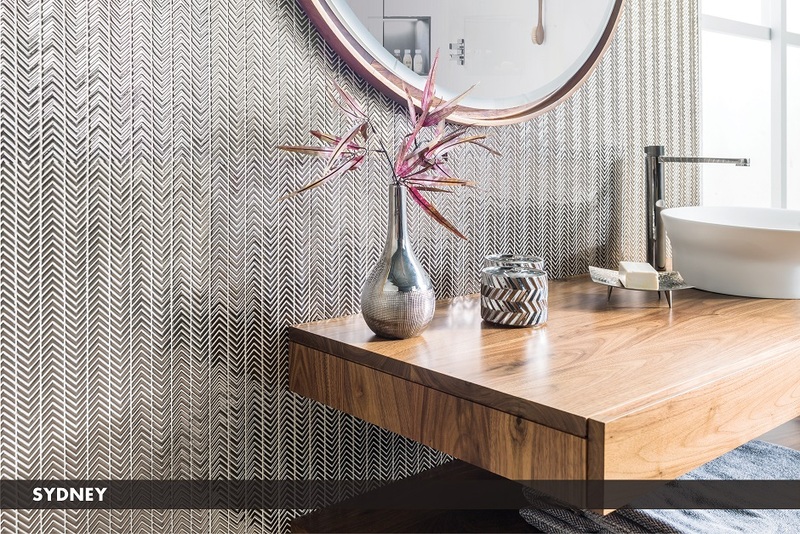 Porcelanosa has always included metallic tiles in its product line from mosaics to ceramic and dimensional tiles, as one of its most sophisticated products; however, we have decided to produce a new collection of metallic to increase customers’ options and give a shinier appeal to our products. 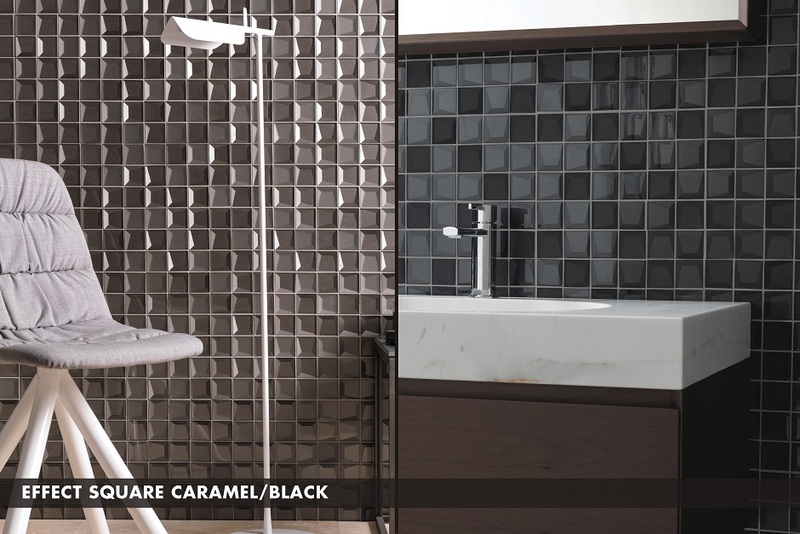 The Effect Square Caramel dimensional tile encompasses one of our metallic mosaic tiles. Square shaped and a diversity of colors, it can be used for Residential and Shower Wall applications. 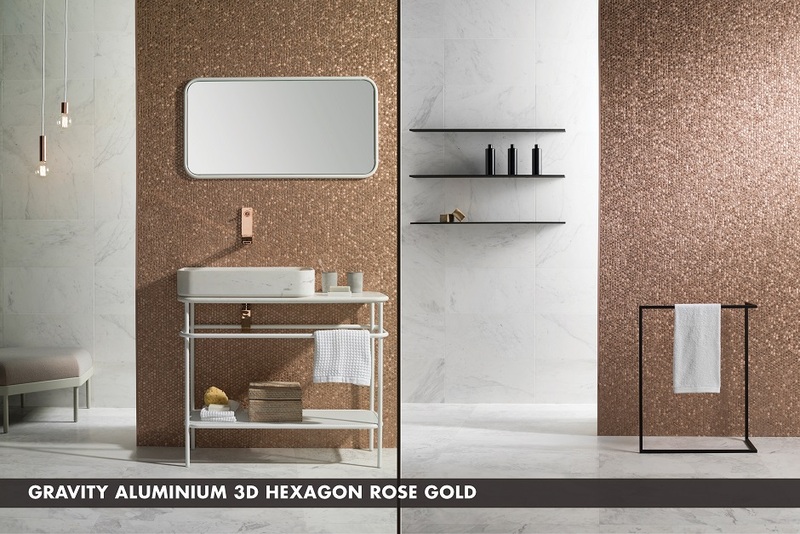 On the other hand, the sparkling visual attractiveness of Gravity Aluminum 3D Hexagon Rose Gold tile mosaic creates a colorful and enjoyable environment. Metallic mosaic tiles can be used in conjunction with other tiles or independently where they are perfect for accent walls. Bombay Silver has a closer metallic look than the previous tiles due to its silver color. It is square shaped is small formats and alternates light silver with darker silver emphasizing metal’s frequent shine. Our newly elaborated product preview for 2018 comes in strong with a brand new collection of products, including metallic. 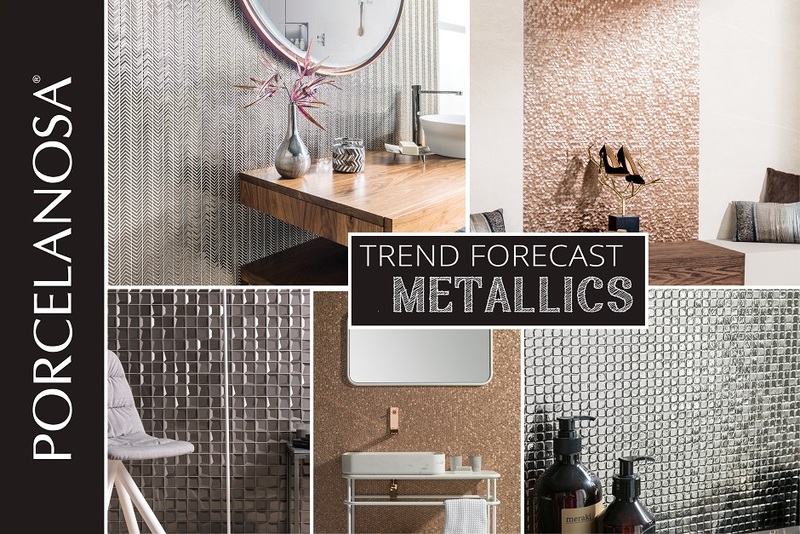 Sydney and Dubai are the last ones to be included in the selected group of metal look tiles. Sydney differentiates itself from the rest due to its mini-spike pattern which gives it a very ethnic and sumptuous look. It is available in Silver, Gold and Pearls, our new color tone. 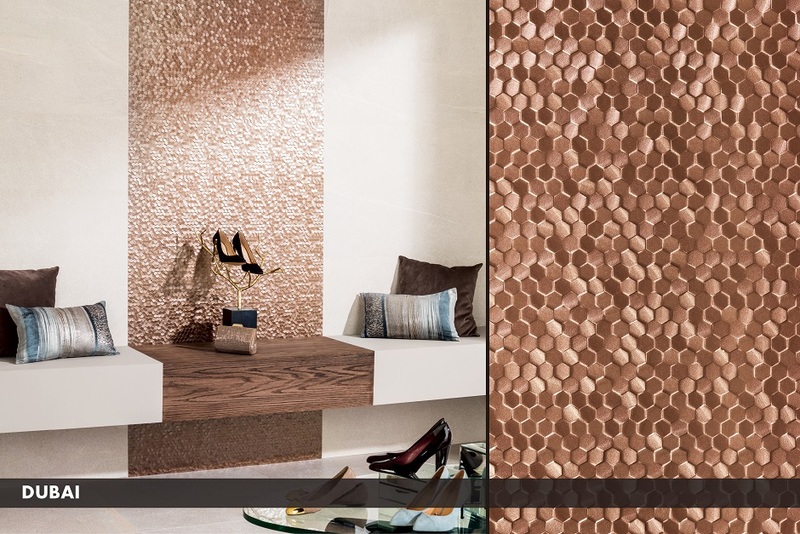 Dubai’s ceramic wall tile resembles Gravity Aluminum 3D Hexagon Rose Gold mosaic due to the combination of small hexagonal pieces. Availability is found in Bronze, Silver and White. Check out our diverse work of art from mosaics to ceramic wall tiles. Brand new products coming soon!